Have you ever had those ‘what if…..’ moments with a vehicle, either 2AM in a drunken haze or in the cold light of day where outlandish additions to a car feel like a eureka moment and the next evolution in car technology? Well, TheHoonigans in association with Scumbag Labs seem to have had quite a few of these lately and luckily for us, they have the means to make them a reality. Have they just invented a 10,000 hp Dodge Challenger that runs off rainwater? Is it a new breed of muscle car that can fly? 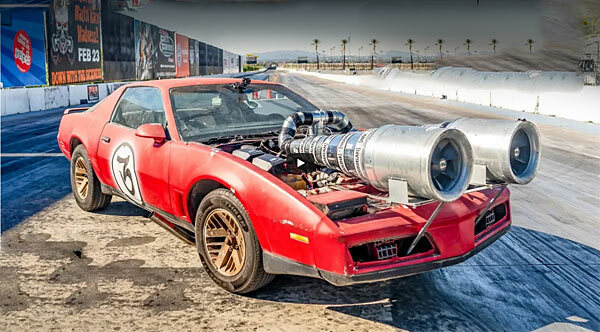 Even better, a $700 1984 Pontiac Firebird with huge fans from a hardware store as turbos(codename: turdos) all stuck together with aluminum ducting and the world’s best material, gaffer tape. With clearly years of scientific planning and design that have gone into the concept, a cardboard mounted toggle switch mounted in the car turns on the planet sucking turbos via a solenoid and power inverter. Finally, the Firebird ends up looking like it’s had two of those monstrously huge camera lenses they use for capturing NASA launches strapped to the front of the car. The whole experiment tries to answer the question, ‘can home-made forced induction maker us faster?’ So how much power can this thing produce? 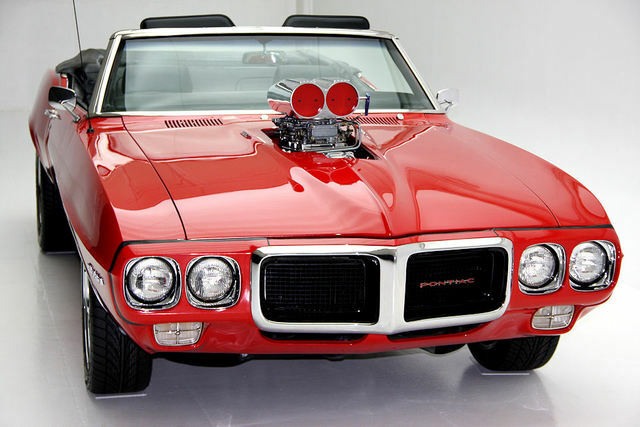 Through a portable dyno, the Firebird made an astounding 72 hp as a baseline reading and then a 17.37 second eighth-mile. Engaging the ‘turdos’ produced a dyno result of 101 hp, a definite increase in power, but could this be translated to the strip? The obviously frame off restored, numbers matching Firebird launches like an asthmatic sloth, but improves its time to 13.75 seconds. The guys also figured out that the car didn’t need a parachute or brakes for stopping, as scraping down the strip’s concrete walls seemed to be much more efficient. James Bond said ‘The world is not enough’ and in this case two turbos is not enough. After a small tuneup, the Firebird ran a best time of 9.63 seconds. Myth confirmed, even more air equals even more power….just. Where do you go when you’ve already made the ultimate turbo setup for a car? Use compressed air, of course. Adding a huge 80psi of boost should at least reach funny car territory, but alas the time came in at 10.6 seconds at the end, not being helped by a blown transmission. But the dyno don’t lie showing an unbelievable 219.17hp and 260.57lb. ft. of torque without compressed air and with 323.85 hp…..mind blown. …but what about Dry ice? Cold air intakes are all the fashion, so why not try a few boxes of dry ice? It’s the next logical step, but will it beat forced air induction? Well, not on its own. It seems a spot of airflow would have made the difference. Conclusion – more air does equal more power, but instead of a disclaimer of ‘don’t try this at home,’ it’s more like ‘don’t bother trying this at home.’ This may not be the future of boosting, but it does prove the concept works. But what about the future of the Firebird? It’s probably retiring and heading to a concours event as we speak.